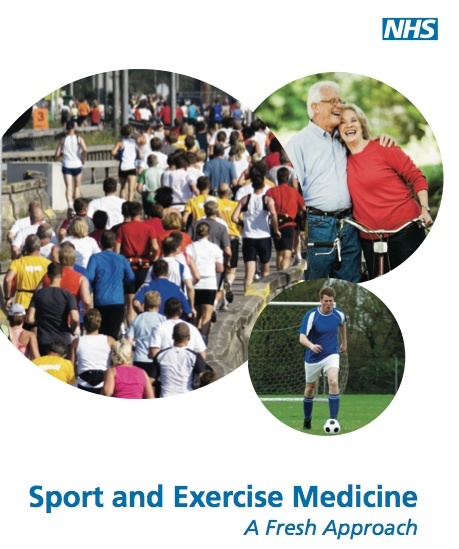 Sport and Exercise Medicine (SEM) has been evolving rapidly around the globe and is gaining mainstream recognition. In the United Kingdom it formally began life in 2005, when the Chief Medical Officer at the time, Liam Donaldson, pledged to develop the specialty as a commitment to the London 2012 Olympics. 2012 has arrived and the specialty of Sport & Exercise Medicine is slowly gaining a foothold in the publicly funded UK National Health Service (NHS). In the UK, we now have an established Faculty of Sport & Exercise Medicine and a fairly comprehensive and evolving 4-year specialist training programme . There are currently about 50 specialist trainees in training across the country and about 10 doctors have become specialists in SEM in the last couple of years. Challenging economic climates have resulted in new measures being implemented by the Government. ‘Market forces’ have been suggested as a means to ensure that funds are targeted locally and efficiently for patient needs. This has resulted in an urgent need for the fledgling SEM specialty to justify its existence and demonstrate patient benefit and cost effectiveness in order to establish new SEM services and maintain existing services. This is not easy for a specialty that has existed for only a few years. A major obstacle when speaking to those holding the funds is the lack of understanding about what SEM specialists can offer the NHS. Is it about elite sport, athletes and the Olympics or is it about exercise, gyms and running? The truth is mostly ‘none of the above’ for the general population, so late in 2011 we published an NHS Information Document explaining what an SEM specialist offers the NHS and NHS patients. This is broadly based on education, research, musculoskeletal, sports medicine, physical activity for prevention of chronic disease and physical activity prescribed in the treatment of chronic disease (exercise medicine). We hope that this peer reviewed NHS Information Document, endorsed by all the key UK organisations in the SEM field, will be helpful to our colleagues and fellow multidisciplinary team members both in the UK and around the world. The publication involved the collaboration of too many people to thank individually, but the co-authors, whom were all SEM trainees at the time of writing, all deserve individual mention (in no particular order). Natasha Jones, Kate Hutchings, Matt Stride, Ademola Adejuwon, Polly Baker, Jo Larkin and Stephen Chew.